There is a plethora of information out there given by diet and nutrition experts about what to eat for whatever ailment you may be suffering. Who or what do you believe? BDA spokesperson Sian Porter says “don’t take qualifications at face value.” Qualifications can be gained at a cost ranging from £12 to over £400, for certificates in child nutrition up to a qualification to be a nutritional juice therapist respectively. Dietitians are the only professionals in the nutrition industry who are regulated by law and the title is legally protected. Dietitians hold a degree or post graduate diploma in nutrition and dietetics. All dietitians are regulated by the Health and Care Professions Council (HCPC). Dietetic courses are approved by the HCPC and there is a need for graduates to meet standards of competency to practice, and maintain these standards throughout their career. Check your dietitian is registered at www.hcpc-uk.org. Dietitians are the only health professionals who can assess and treat dietary and nutritional problems at both the individual and the wider public health level. Dietitians work closely with both the healthy and sick, and use the most up to date scientific research on food, health and disease. 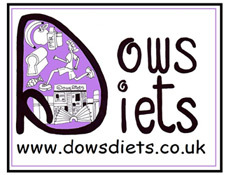 Dietitians work in NHS, government, private practice, health promotion, care homes, catering, sports and media. They work closely with multidisciplinary teams to treat complex conditions including; diabetes, IBS, malnutrition, chronic fatigue and bowel disorders. Nutritionists tend to work in non-clinical settings; government, food industry, research, teaching, sport and private practice. Nutritionists are qualified to give advice about food and healthy eating. They are not qualified to give advice about nutrition to manage medical conditions such as diabetes, IBS, malnutrition and food allergies. Dr Glenys Jones RNutr states that the public benefit from qualified nutrition professionals recognising each other and working together to achieve the common goal of improved health and the promotion of evidence based nutrition information. Professional registration is an important way of demonstrating both qualifications, and expertise and professionalism to others. Don’t assume an individual has the knowledge and information to support your nutritional needs if they profess themselves to be an expert. Check out their credentials on the above websites to be sure.